Detecto's Patient Lift Scale is a completely self-contained instrument that determines the weight of a person suspended from a portable patient lift mechanism. It operates on only one (1) 9-volt Alkaline battery (not included). Battery power is saved due to the automatic shut-off feature. 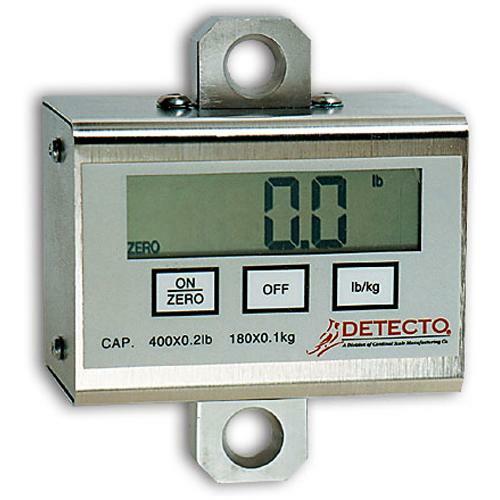 The scale also has a membrane keypad with only three (3) keys: ON/ZERO, OFF and LB/KG. It's so easy to setup and operate; the procedure is quickly learned.